It is 1AM in Kawasaki, Japan and tomorrow we leave for Kurihama. Kurihama is where I had the encounter with Gojira! We are going back to Kurihama because it is very close to some areas we would like to explore, Kamakura and Enoshima. 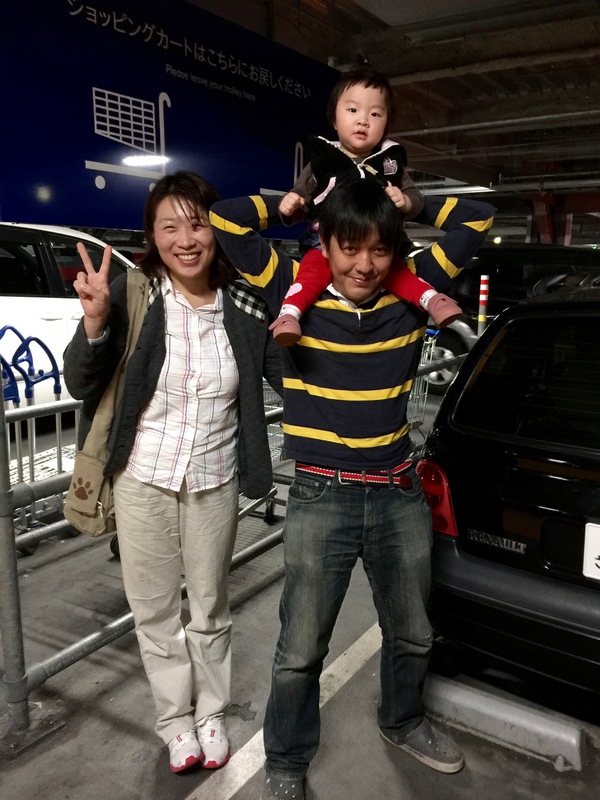 We have spent four nights at the home of Tsuyoshi, Nayeong, and their adorable daughter May. This is another airbnb stay, and although more remote than I expected, it has been very special. Made very special by the warmth of our hosts. Traveling from Tokyo to Kawasaki was more difficult than expected. Seems like our backpacks have gotten heavier. 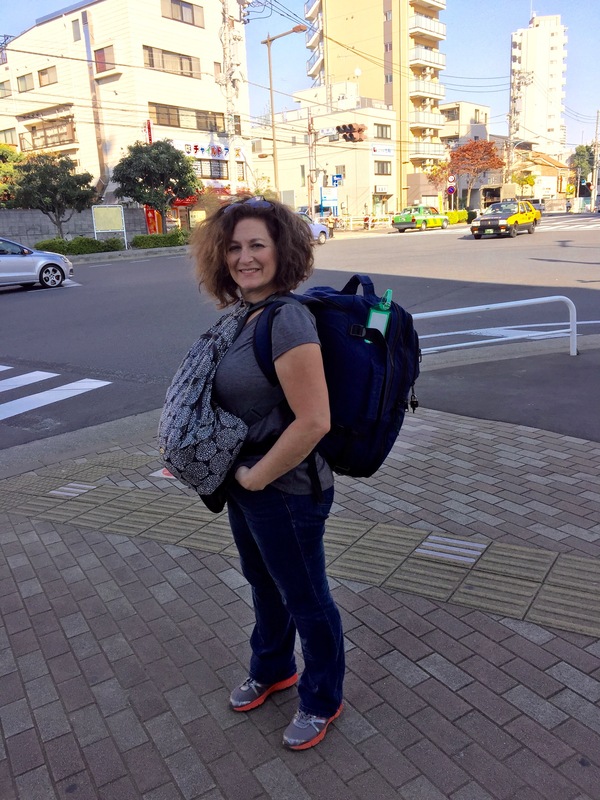 We made the hike to the metro station in Tokyo in good form, but the 30 minute hike from the metro station in Kawasaki to our homestay was more than my 54 year old frame could take. Carrying 25 pounds on my back and 15 pounds on my front was simply too much. I had considered investing in new backpacks before our trip but had opted not to do so. We had used our Rick Steve’s backpacks all through Europe in 2002 and they were still in good shape. The difference is we didn’t hike with them for any significant distance in Europe, and we are also 13 years older. Laurie loaded up and heading off to Kawasaki. Tracy loaded up and headed off to Kawasaki. 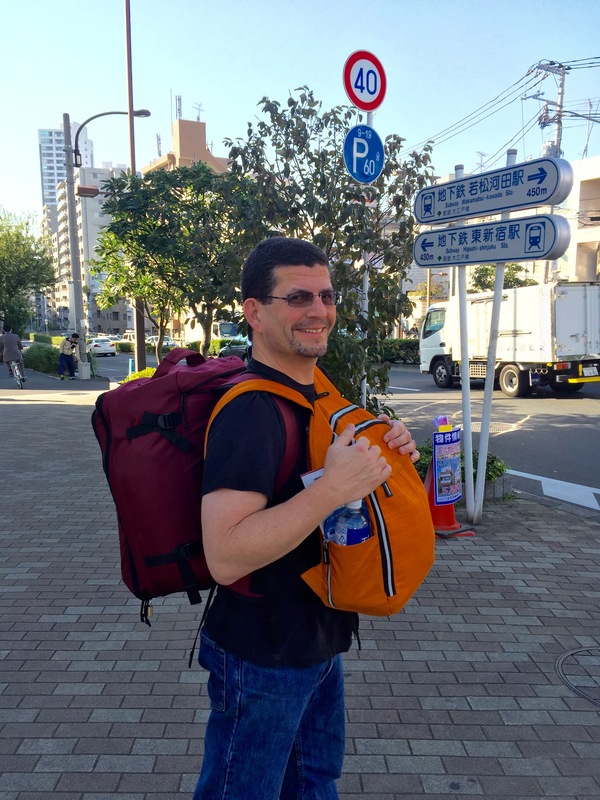 We had almost arrived at our homestay when I had to drop the packs I was carrying. I had lost all feeling in my left clavicle area down through my left arm. Something had to change. We continue to evaluate what we are carrying and you would be amazed how little we have with us. We decided we needed a new backpack. 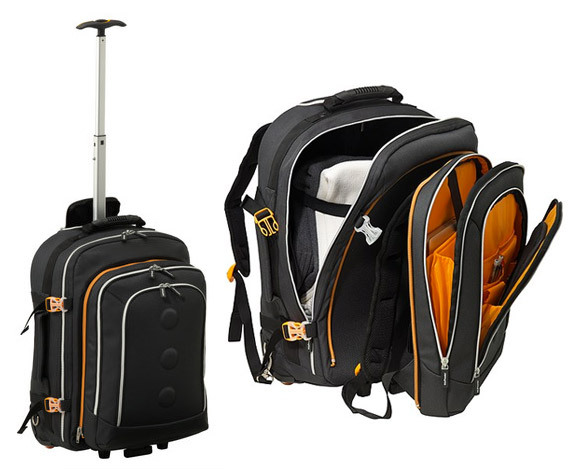 We had seen one at Ikea that would allow us to have a bag on wheels and lighten the load we are carrying on our bodies. Our hosts were so nice and offered to drive us to the Ikea in Yokohama. 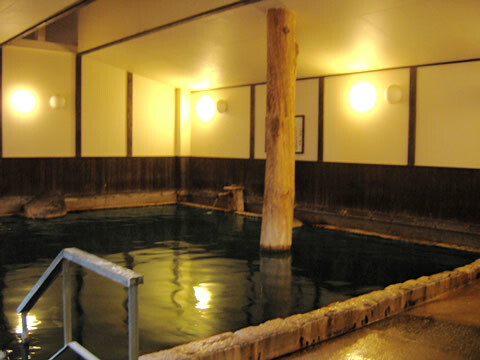 While in Kawasaki we had the opportunity to go to our first onsen. 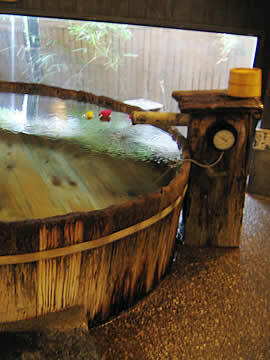 An onsen is a traditional Japanese bath fed from a hot spring. 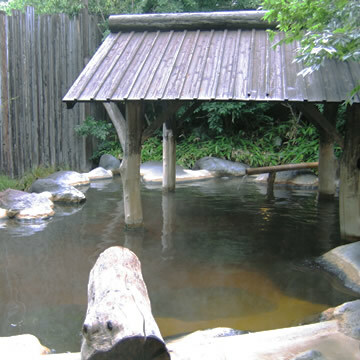 The onsen we went to is called Shirakunoyu. There is a proper way to utilize an onsen. The naked part is easy for me, its the unspoken rules and etiquette that can be a little intimidating. We managed just fine. We both felt so much better after soaking for over an hour. 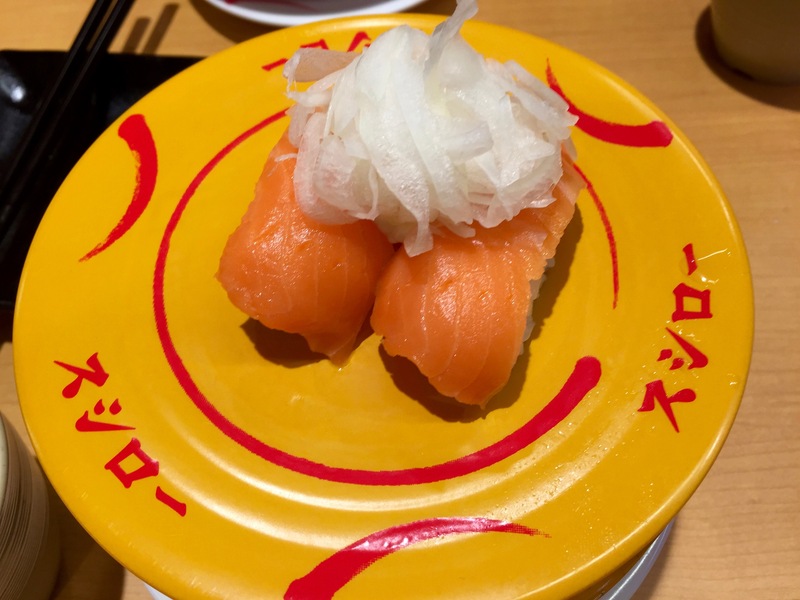 One of the things I really wanted to do in Kawasaki was eat at the local Sushiro Sushi Restaurant. 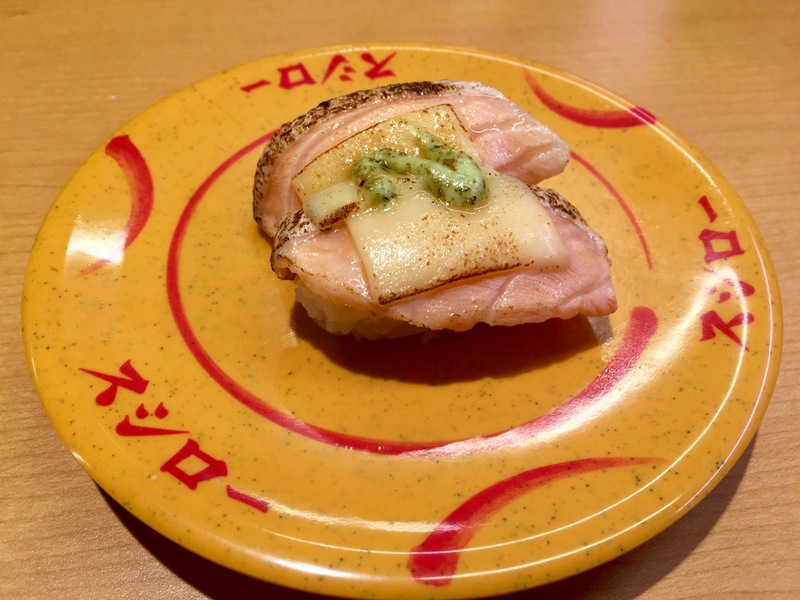 Aikido-Sushiro was the innovator of conveyor belt sushi. 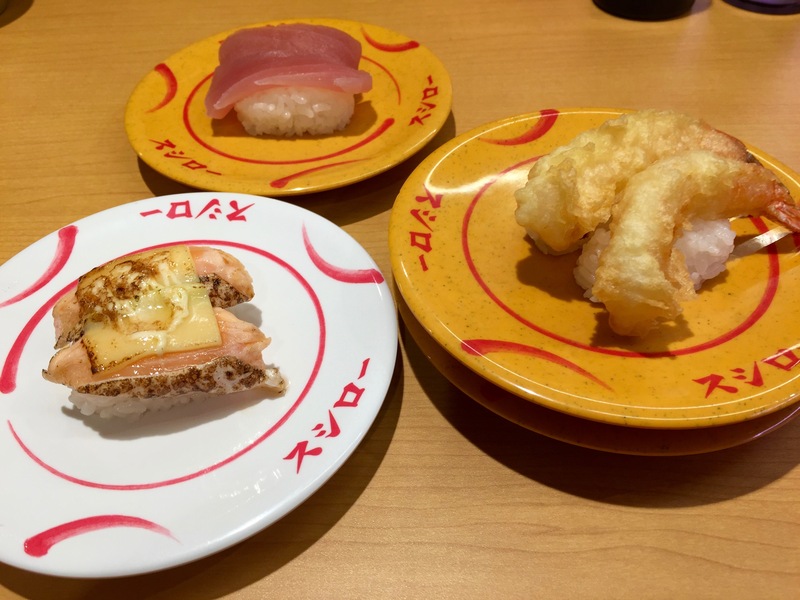 With hundreds of locations they serve over 2 million plates of sushi a day. Most plates only cost Y100 which at todays exchange rate is only $0.83!!! It was everything I expected and more. The quality was amazing and of course everything was so high tech. We have eaten there twice and I know if I lived here it would become a daily fix. Salmon with cheese and basil sauce! Salmon with cheese, Tuna, and tempura shrimp! Salmon with sweet onion and mayonnaise – so delicious! 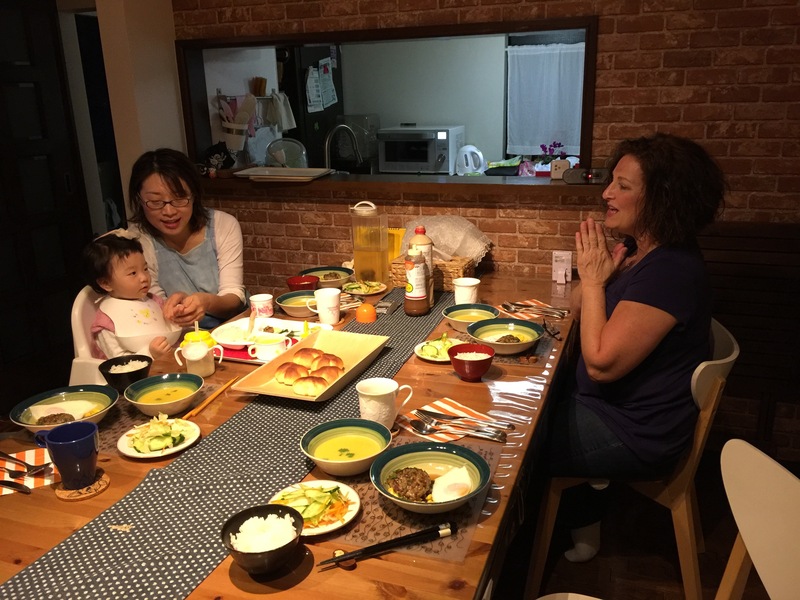 The most special part of our time in Kawasaki was being invited to have dinner with our airbnb host family, Tsuyoshi, Nayeong, and May. Nayeong prepared a beautiful dinner that was so delicious. They allowed us to hold and play with their precious eighteen month- old daughter, May. It was such a warm visit eating, drinking, and getting related. On our last night staying in Kawasaki we met up with our good friend Bryan Altaker for dinner. 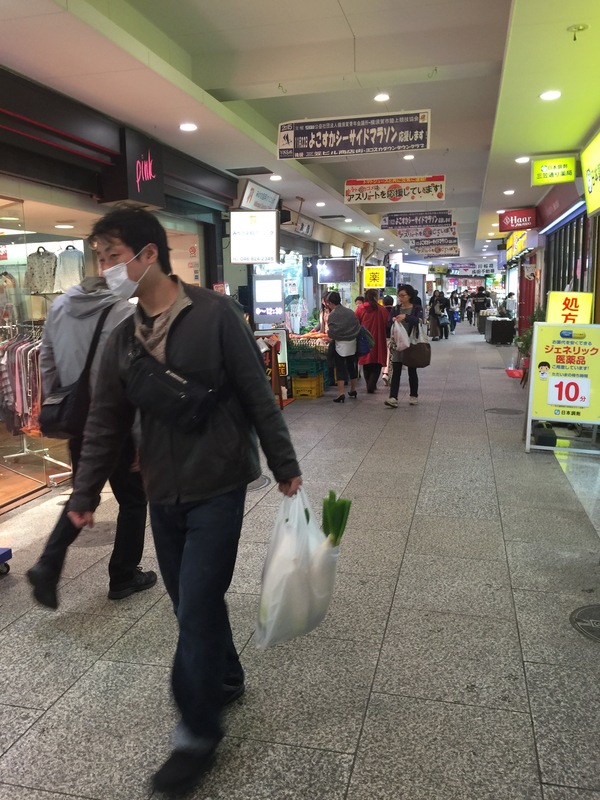 We arrived early and after walking through the many shops we walked to Mikasa Park. 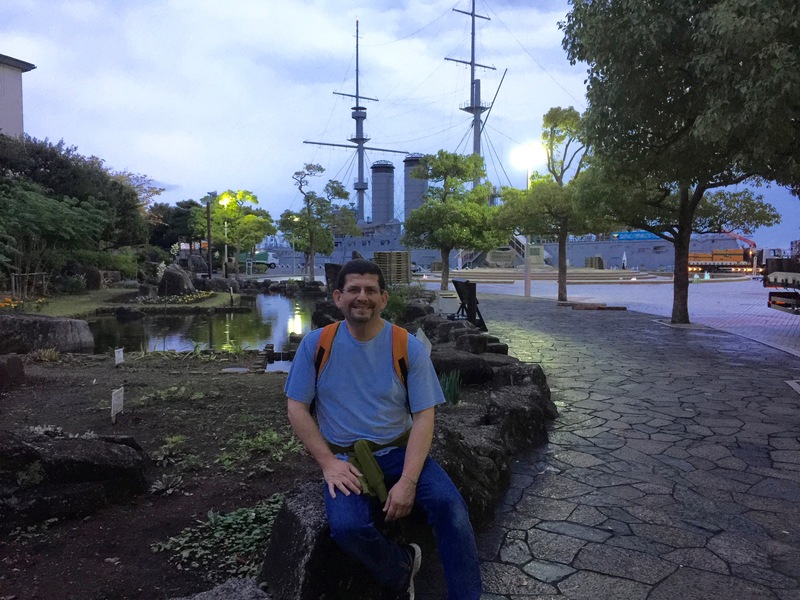 Such a beautiful park where the Japanese battleship Mikasa is on permanent exhibit. 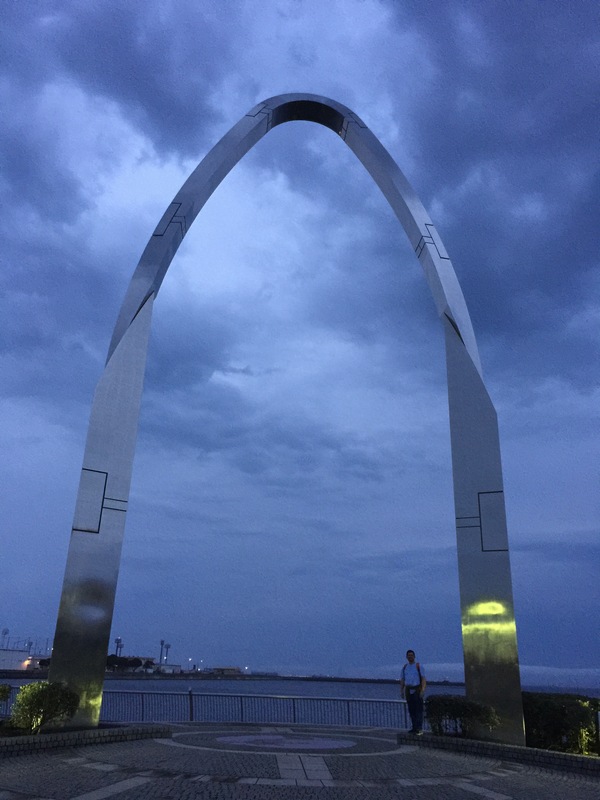 The park overlooks Tokyo Bay and the United States Navy Base Yokosuka. We walked through the park at dusk and in the rain. Somehow it felt just right! 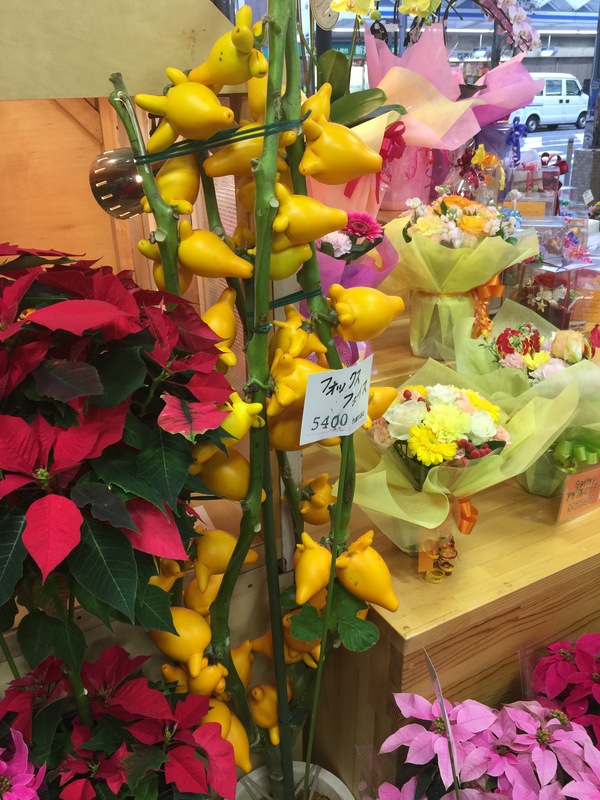 Not sure what the yellow flowers are! ← Surfing Tokyo for Tacos!